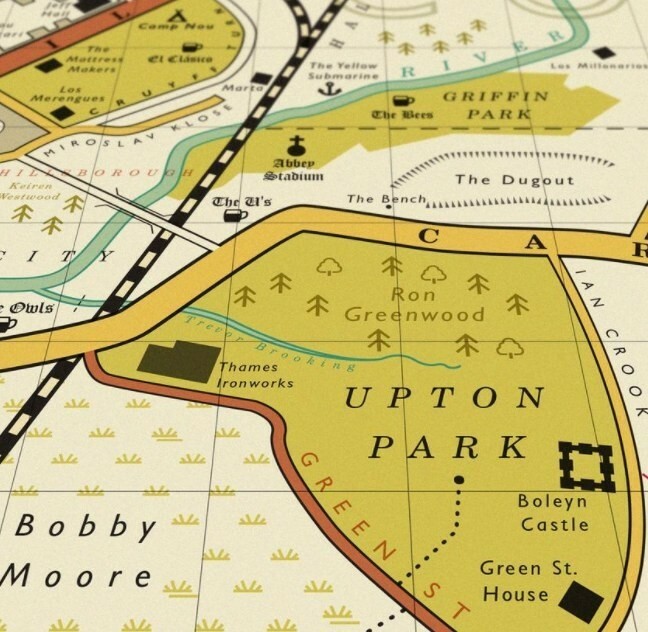 An imaginary map made up from the names of over 500 iconic people and places associated with football including much loved grounds such as Villa Park, Stamford Bridge, White Hart Lane, Maine Road and Anfield; favourite stands including The Clock End, Stretford End and Spion Kop; training grounds like Finch Farm and Platt Lane; legendary players such as Bobby Moore, Rodney Marsh and Nobby Stiles; contemporaries including David Villa, Abby Wambach and Gary Cahill; and memorable commentators like Jimmy Hill and Trevor Brooking. 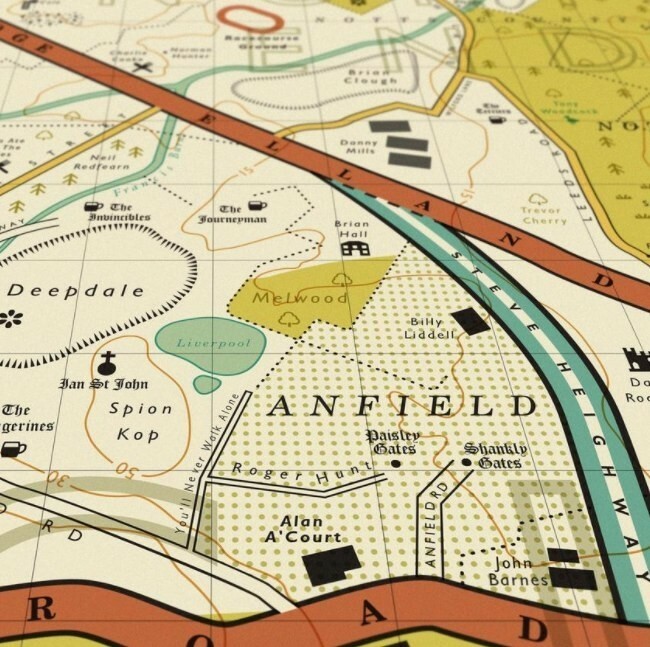 The map features references from the big clubs from the Premier League and the Scottish Premiership down to the smaller but equally historic lower division clubs. 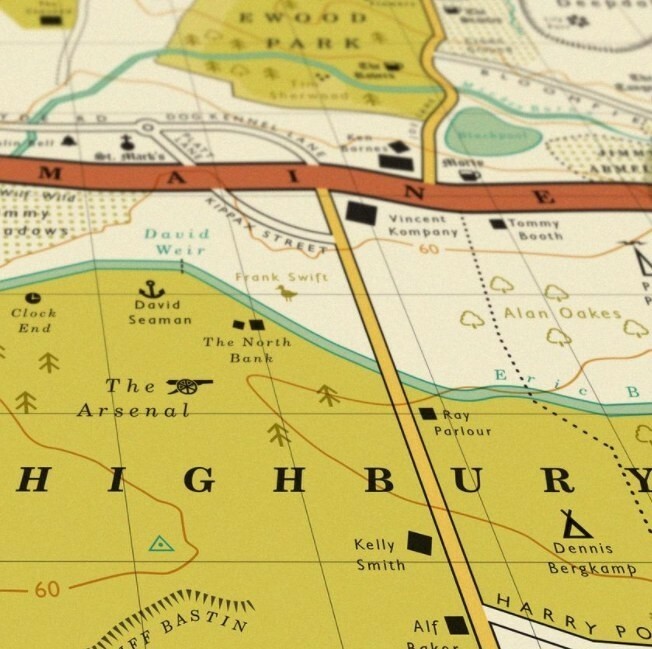 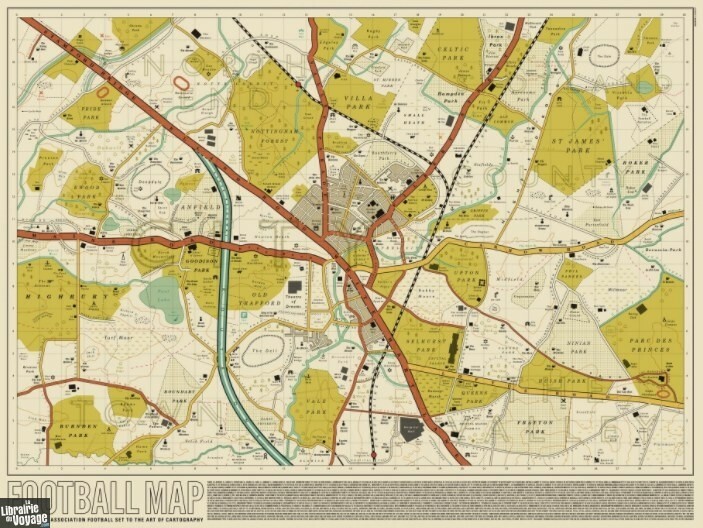 The 19th century style map is loosely based on the area surrounding Parker's Piece in Cambridge which is regarded as the birthplace of Association Football. 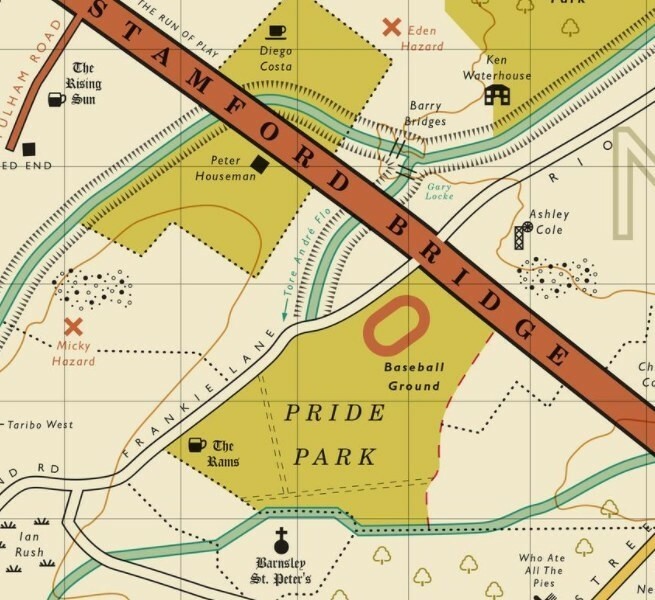 It was here in 1848 that a group of students drew up and adopted a set of match rules that then became the basis for the modern day game.